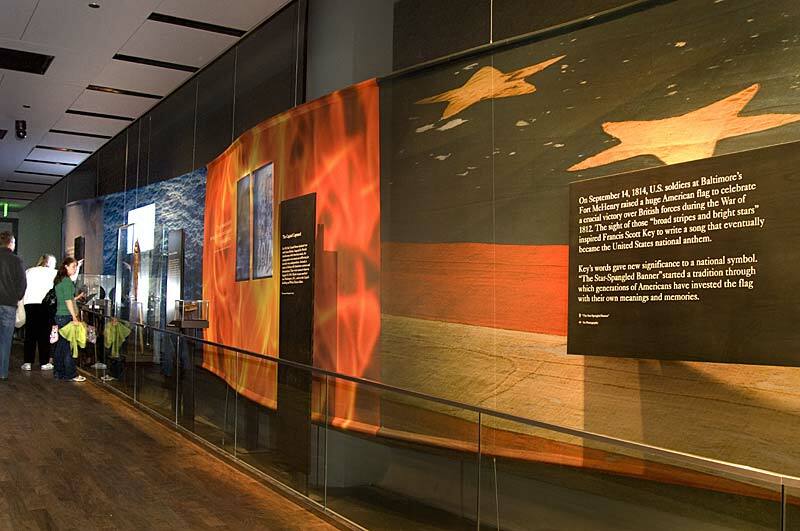 Upon entering this exhibition, visitors are immersed in the Battle of Baltimore, which inspired Francis Scott Key to write his famous lyrics. 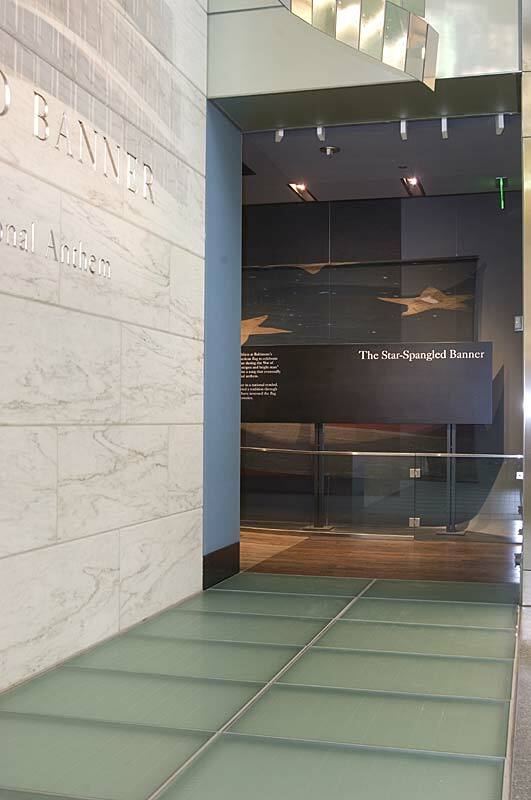 The almost 200-year old, 30-by 34-foot flag is displayed in a special environmentally-controlled chamber. 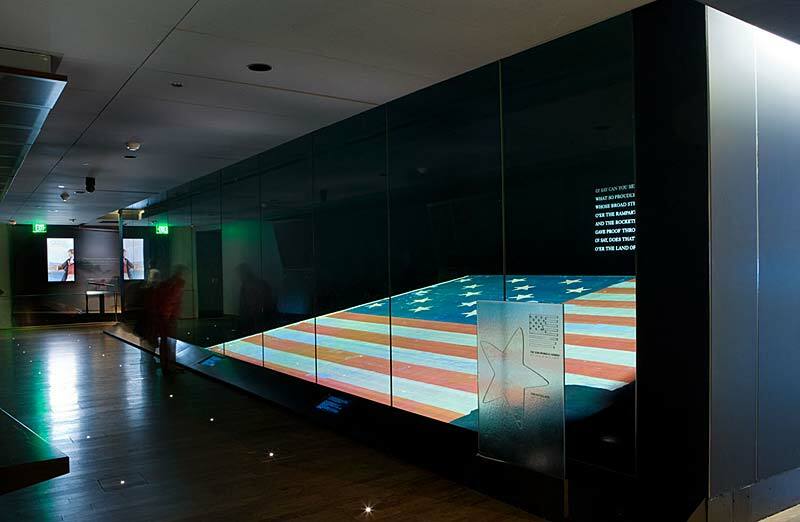 An interactive table with a tactile image allows visitors to investigate key details of the flag and how it was made. 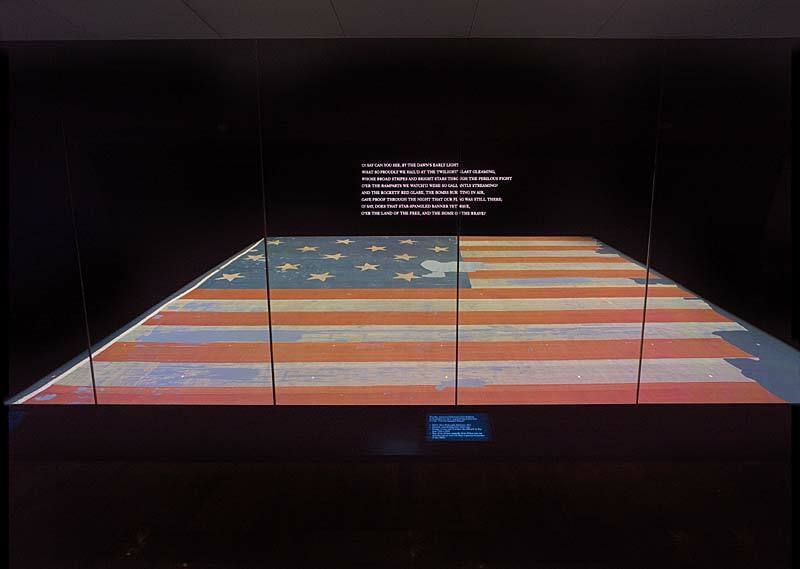 The exhibition explores the flag as a family keepsake in the 19th century, the Smithsonian Institution’s efforts to preserve the artifact since 1907, and how Americans have used the Star-Spangled Banner—both the flag and the song—to express diverse ideas of patriotism and national identity. Please note: Photography is not permitted in this exhibition. Learn why on our blog and download photos from Flickr. 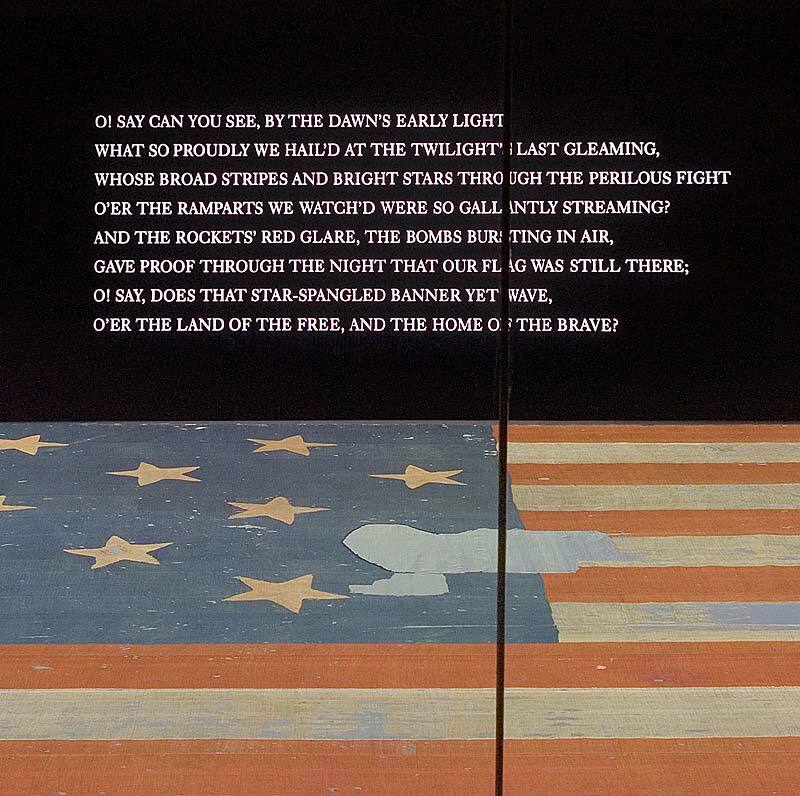 What does the American flag mean to you? Contribute your photos and stories. 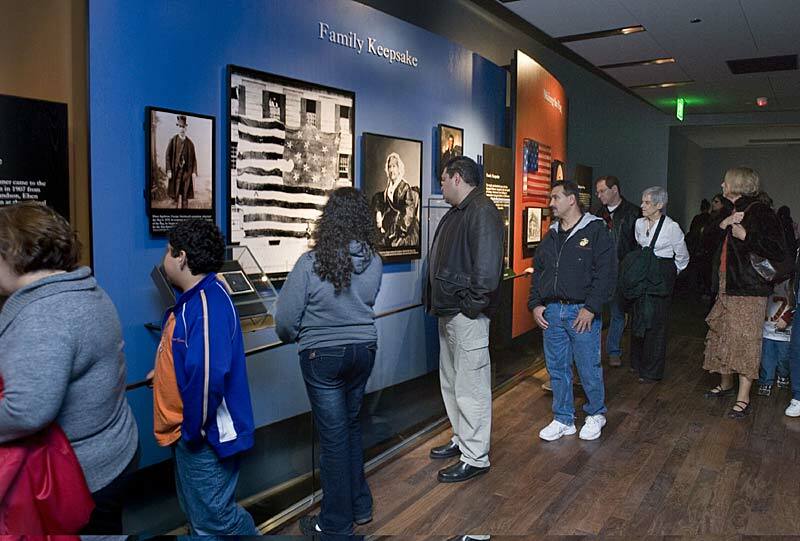 Your photo could become a featured part of our online flag mosaic! Share your story.